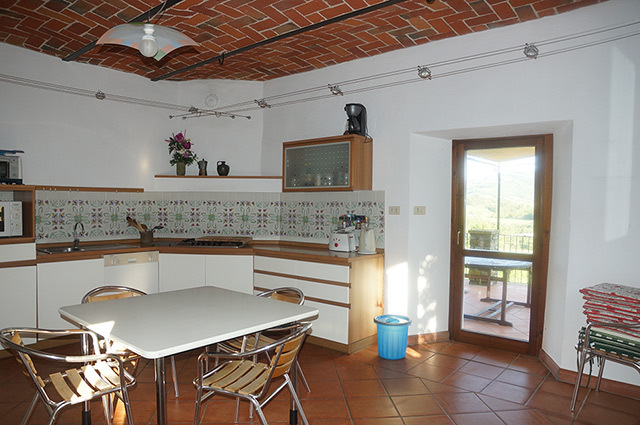 Stunning well priced property , could be used as a private family home with ample space for friends and family to visit or very interesting as a business activity with 2 houses and 3 apartments for weekly vacation rental. 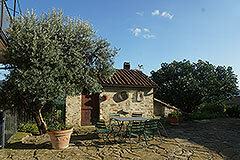 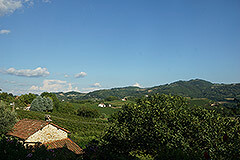 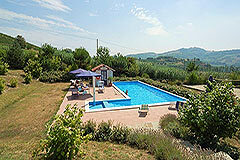 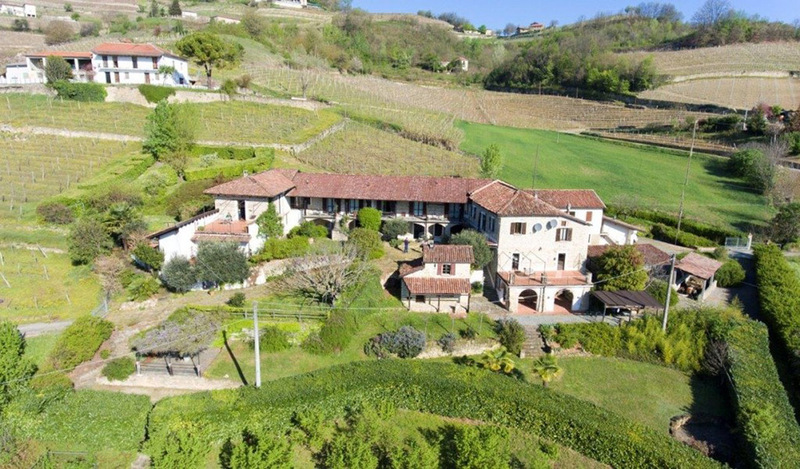 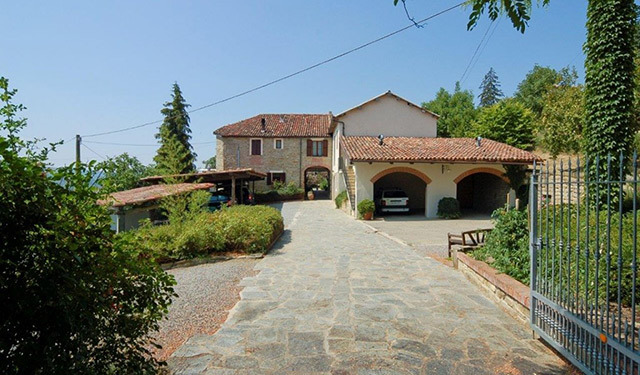 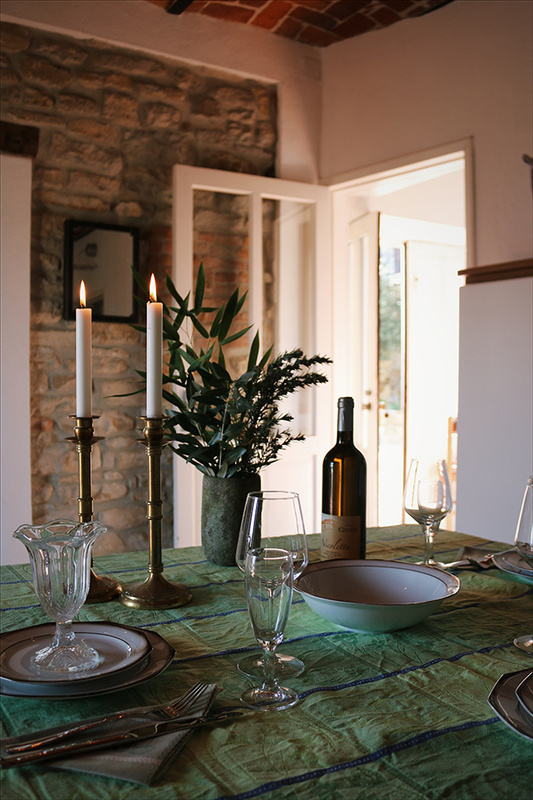 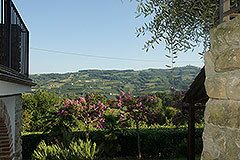 These restored farmhouse properties are situated in a truly panoramic position in the heart of the Piemonte vineyards. 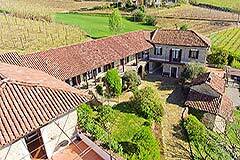 The estate is in a private tranquil position, on a small county lane with no immediate neighbours. 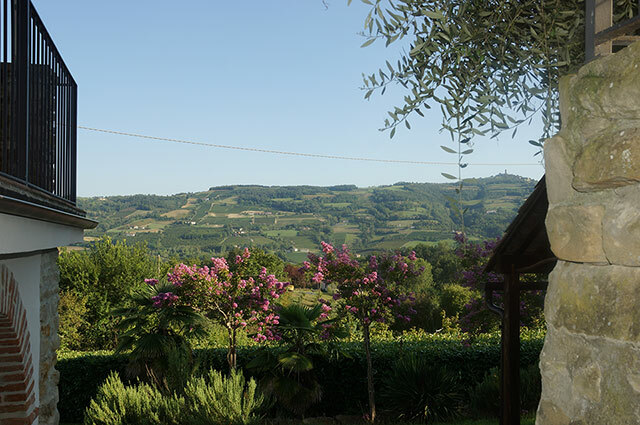 Around 30 minutes from Alba and Acqui Terme and 15 minutes from Santo Stefano Belbo well located to enjoy the delights of the local area ! 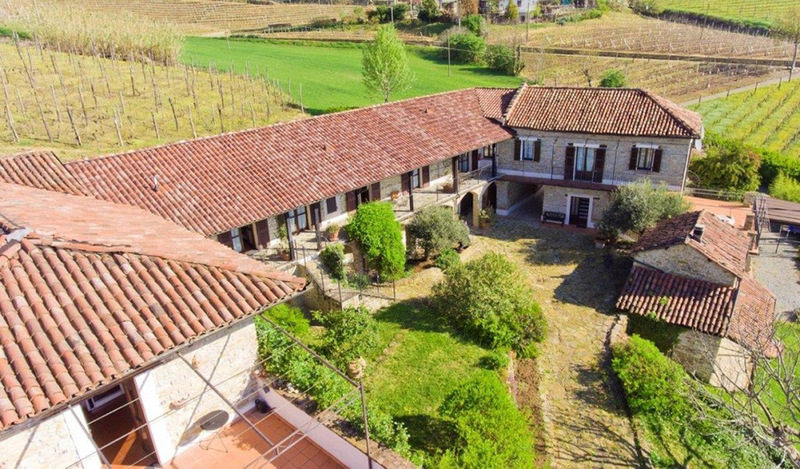 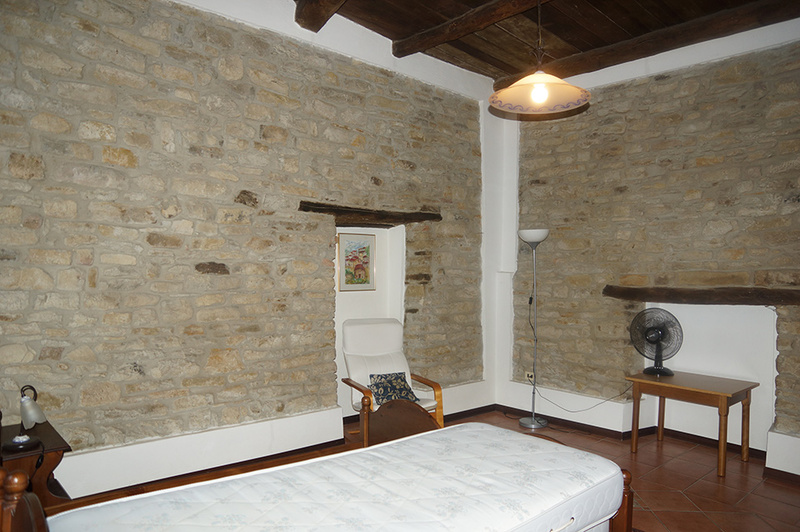 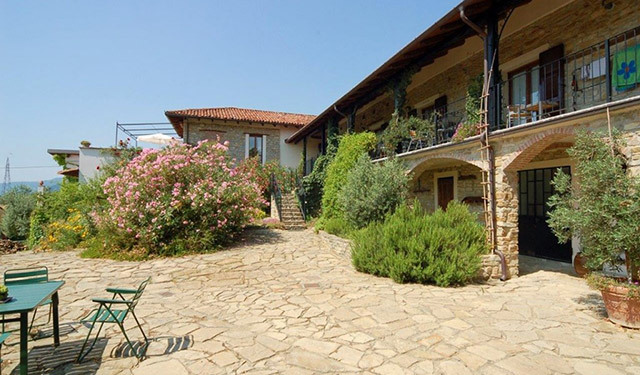 Accessed through an attractive arched stone walkway you find this delightful large restored Langhe Stone Building with 5 separate accomodations, a swimming’s pool and vineyard ! 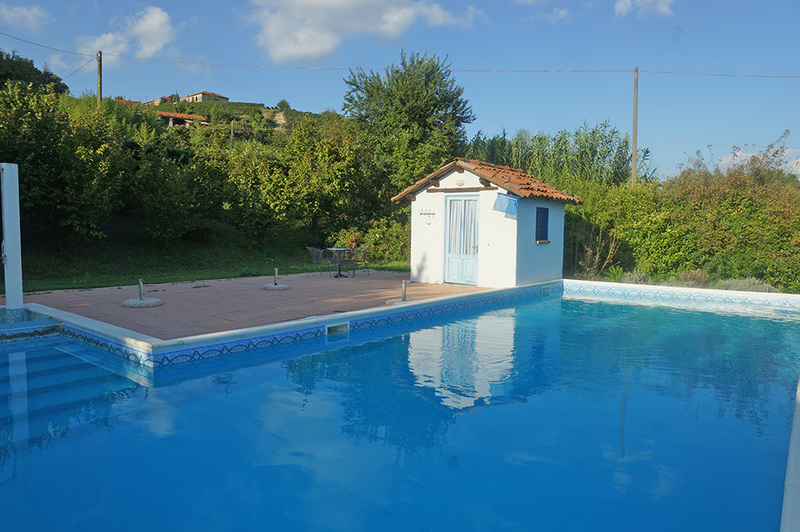 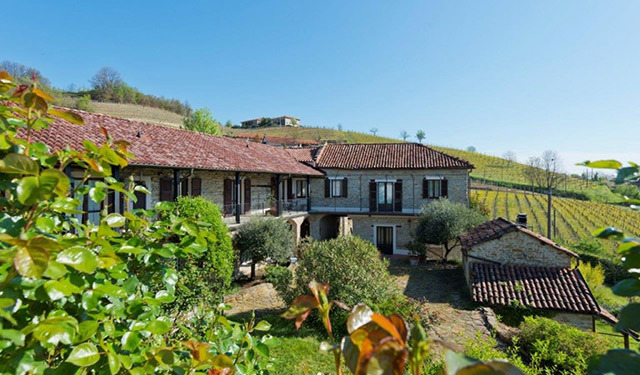 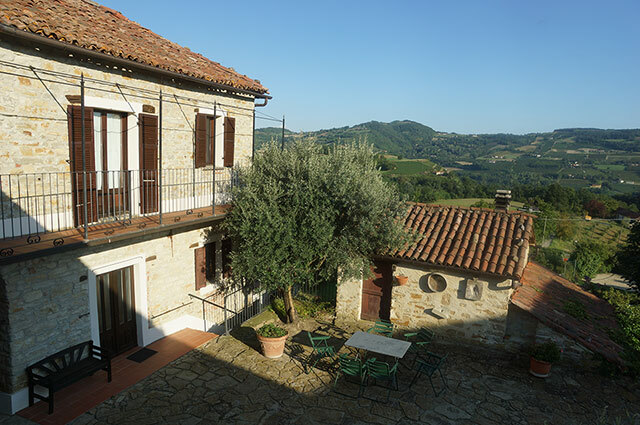 This beautifully restored langhe stone famhouse and swimming pool is situated in a charming location with panoramic views of the surrounding countryside. 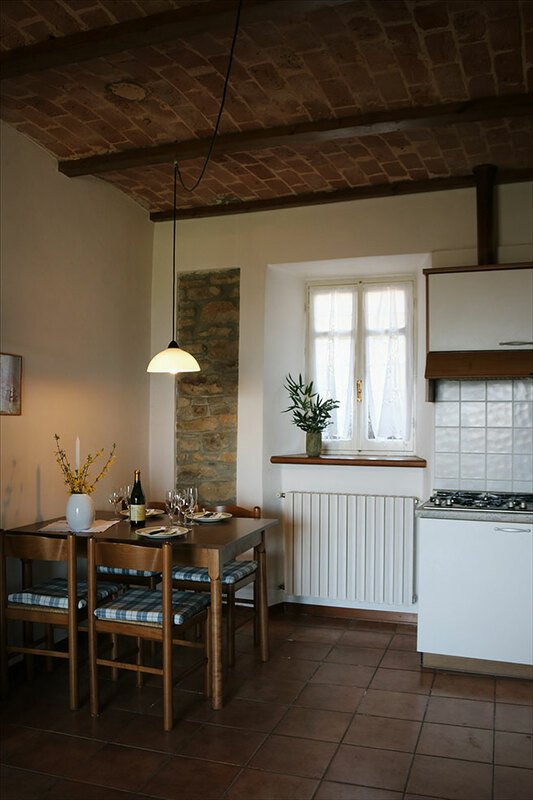 The original character of the of old property has been carefully preserved with many original features including exposed stone walls , archways and brick vaulted ceilings that combine perfectly with the natural surroundings. 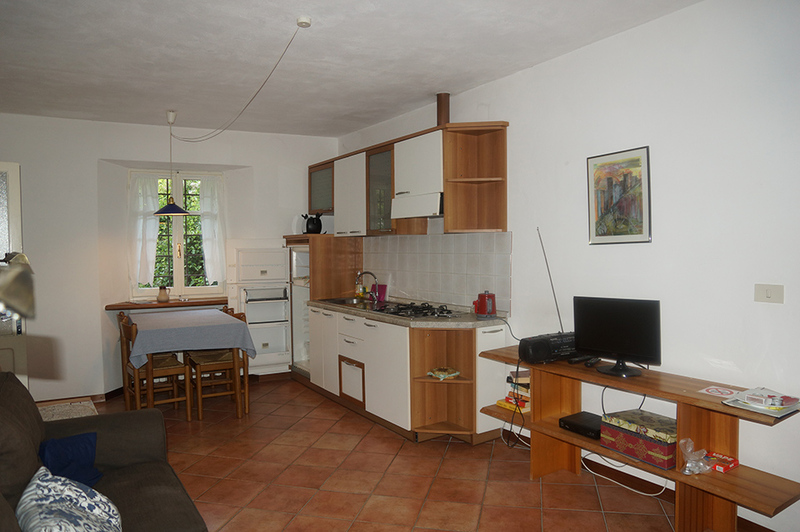 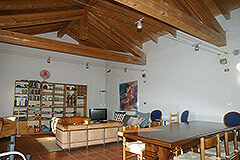 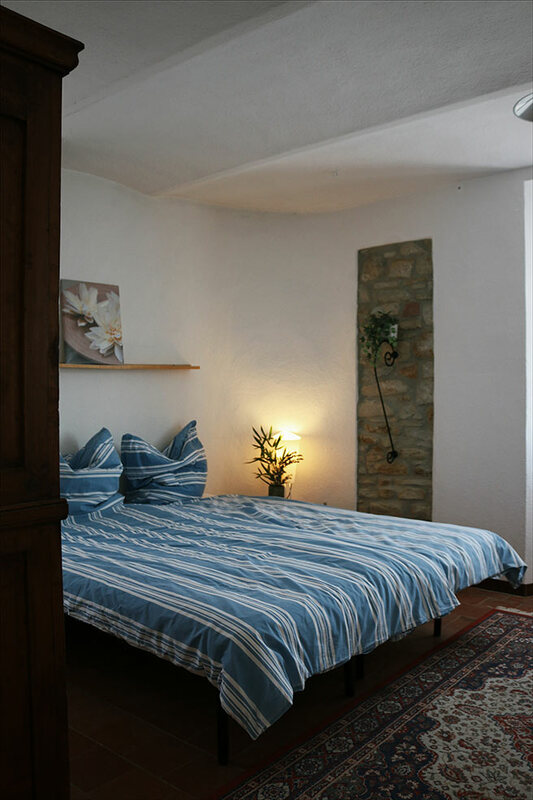 The property consists of 3 spacious apartments and 2 spacious houses. 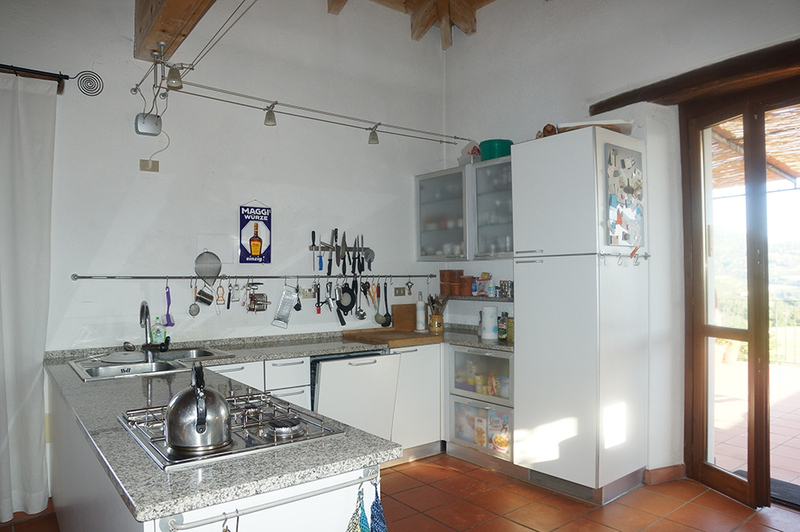 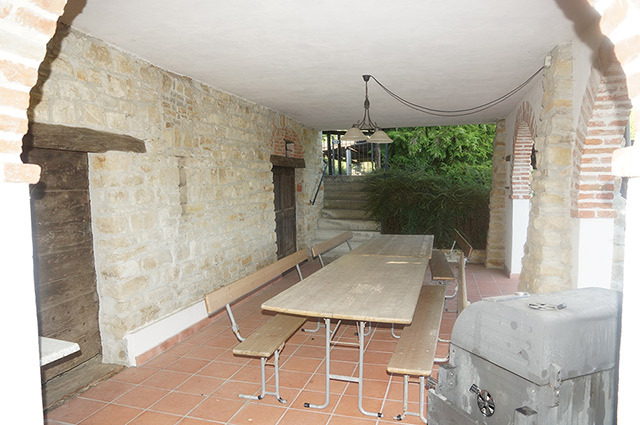 The property is an Langhe Stone Farmhouse in an attractive U shape which creates a delightful internal courtyard. 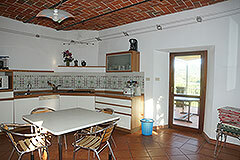 The main house is to the left, approx 150 sqm of accomodation over two floors. living room kitchen with access to a large open terrace with wonderful views over the garden, pool, the surrounding hillside and the Alps. Large living room, kitchen and a large balcony. 2 apartments with 2 bedrooms and one with 1 bedroom. 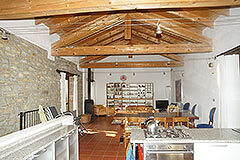 Each have bathrooms and a kitchen/living area they are all beautifully finished and feature stone floors. 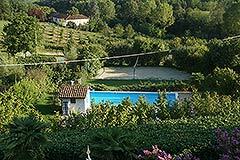 Below the farmhouse there is a beautifully landscaped garden area with a large ‘L’ shaped swimming pool and a beach volley court. 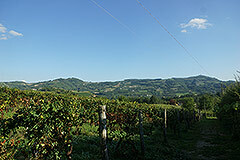 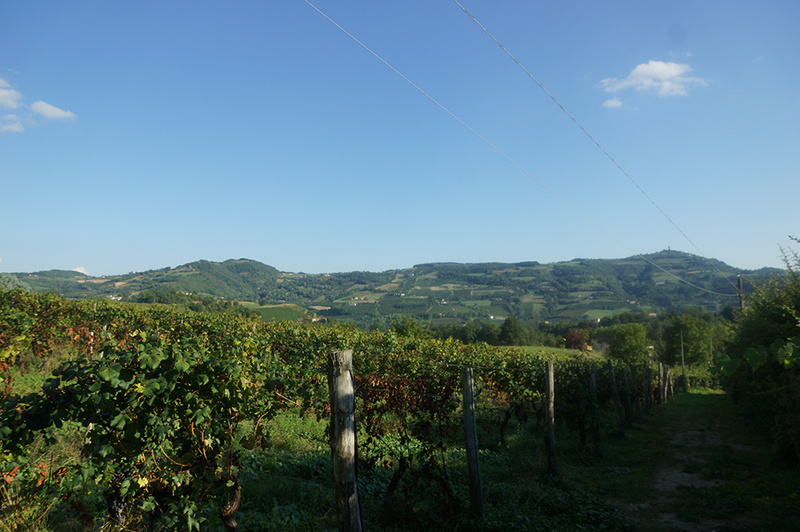 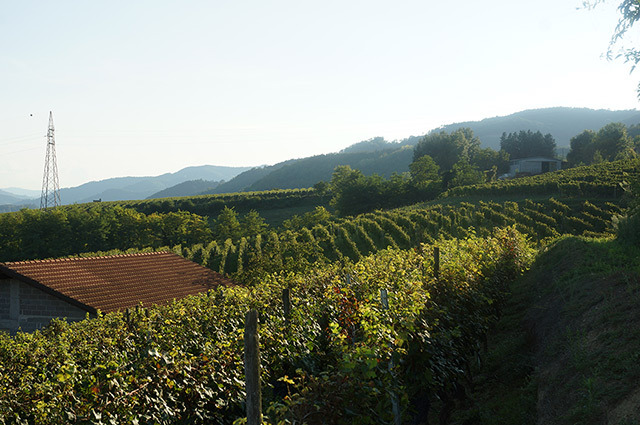 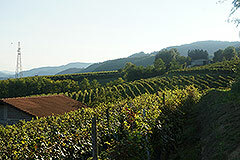 The land is around 8,000 sqm and includes Dolcetto and Moscato vineyards which are currently looked after by a neighbour. 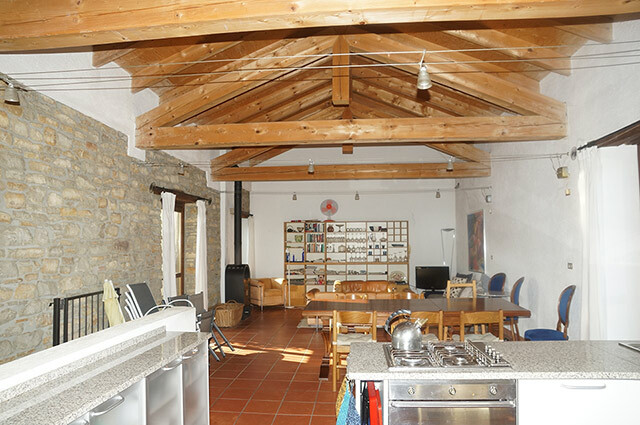 There is a large workshop area and further building with pizza and bread oven. 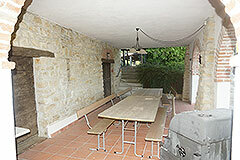 There is am ample covered parking areas for cars.